We can’t wait to hear “Future Swag” live. Commence celebration, because Atlanta rap god, Young Thug, is hitting the road yet again—this time in support of his most recent mixtape, JEFFERY. The full-length project, which features bangers like “Wyclef Jean” and “Floyd Mayweather”, shot up on the charts since it was released in late August, and has gained praise from everyone from Pitchfork to MTV, who dubbed it the “masterpiece we never saw coming.” Same, though. It's time. 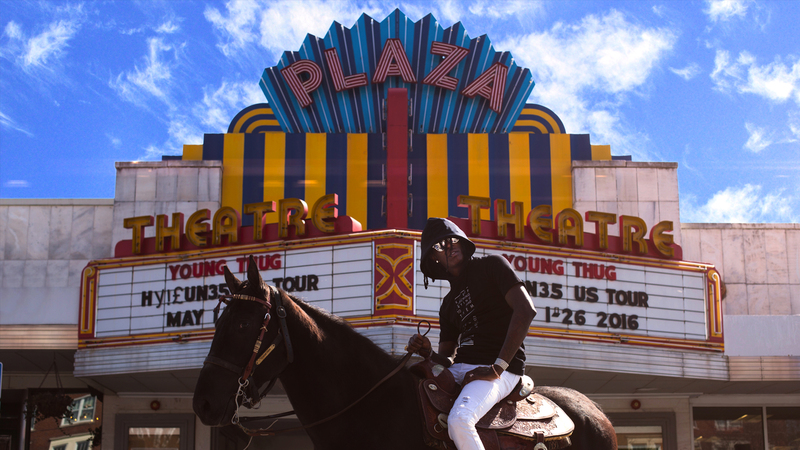 The #HI-HORSE'D Tour with @21savage and your favorite thugger is coming to you this winter. Tickets on sale Friday at 10AM. To give Thugger fans a taste of the mixtape live, the “Digits” mastermind is teaming up with fellow Atlanta rapper, 21 Savage, for their joint HIHORSE’D Tour kicking off in Baltimore on September 1. The 20-date tour will make it’s way through the states before wrapping up in New York City on December 18. Can you think of a better way to kick off the holiday season than by hearing “Harambe” live in the flesh? Yeah, us either. Make sure to track Young Thug on Bandsintown so you don’t miss one of his sure-to-be-epic live shows.